Grifid Metropol presents its new exclusive and innovative product Premium All Inclusive - the formula that can satisfy even most sophisticated tastes and needs. Imported and local alcohol, local draft beer and wine, soft drinks, cocktails from 10:00 until 24:00. 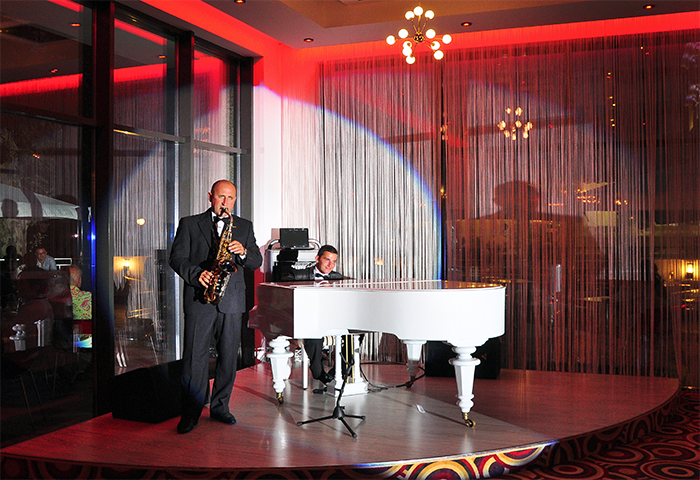 Lobby - Piano Bar, Pool Bar, Sky Bar and Beach Bar ( local alcohol drinks are avilable). The hotel offers a boutique wellness center with choice of various treatments and SPA procedures in Massage rooms, Sauna, Beauty salon and Relax Zone. The complimentary fitness room is equipped with the latest edition of Technogym multi-gym systems to keep you in good shape. Open air Well fit zone and Boccia field. 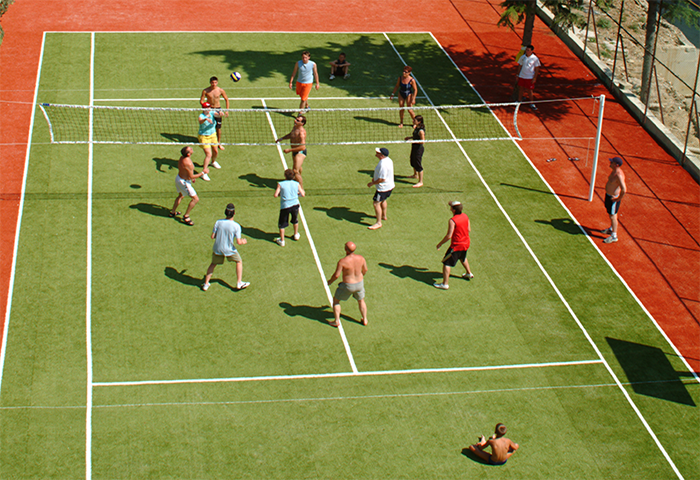 Available to all guests is the multifunctional playground in the nearby Grifid Bolero, suitable for tennis, football, volleyball and basketball. 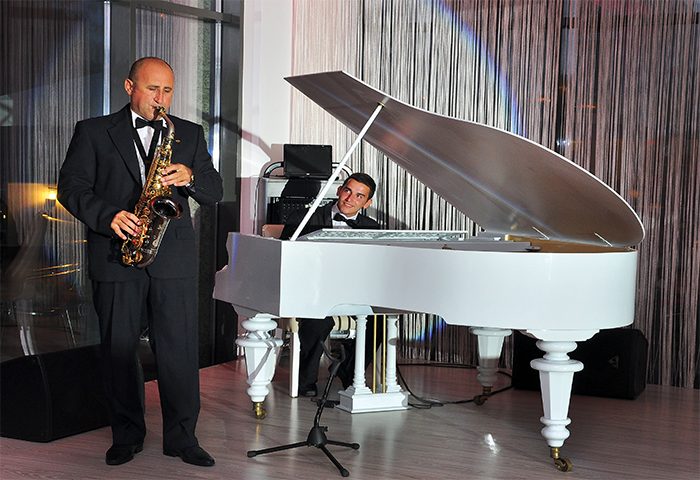 Live music performance every night by guest musicians. Concierge service. 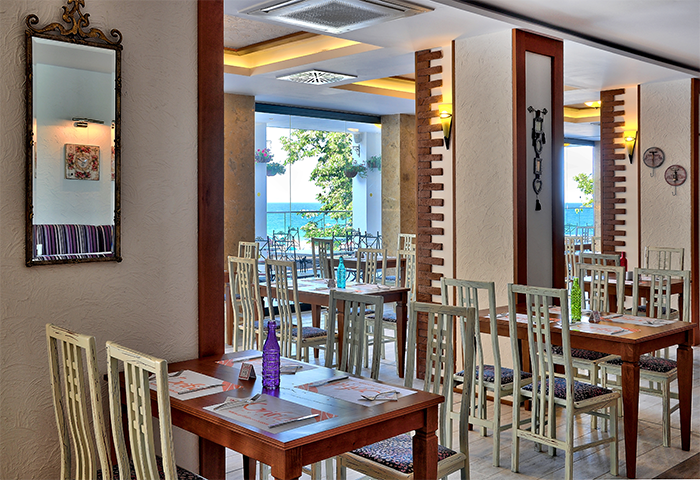 Breakfast is combination of cold buffet with a la carte menu and table service. 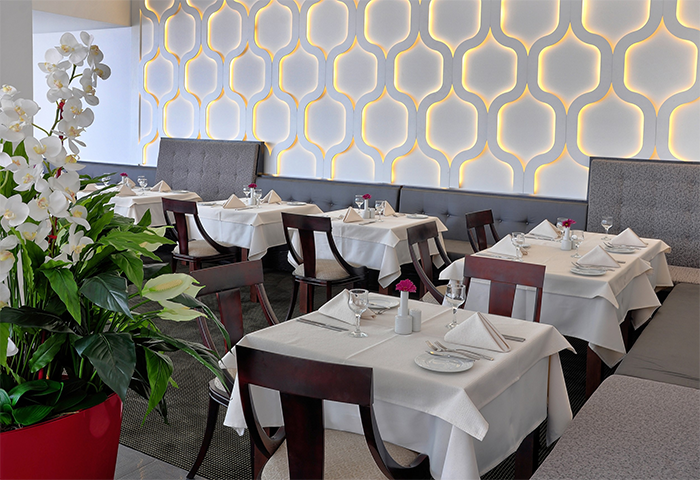 Continental breakfast and A La Carte in the Italian Restaurant "Prego". Lunch A La Carte in the Main and "Prego" restaurants. Snack A La Carte in the Italian restaurant. 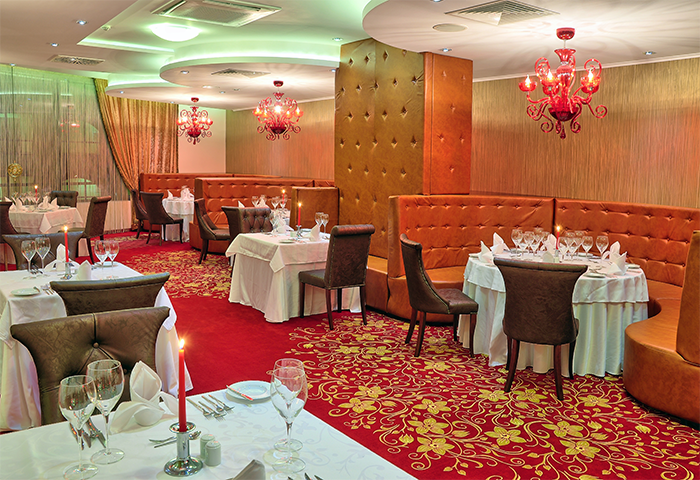 Dinner A La Carte in the Main and the Fusion restaurants. A La Carte Theme dinners in the Italian restaurant. 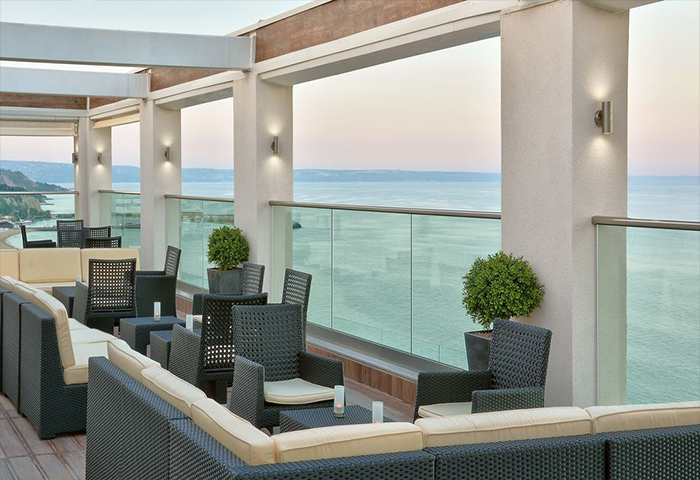 Enjoy Grifid Dine Around program – variety of Bulgarian and World Cuisine & Drinks crowned in an incomparable atmosphere! DRESS CODE: Gentlemen are kindly asked to wear long trousers for dinner!